Anupama Gurung has been crowned First Runner-up Miss Nepal 2011 at Army Officers’ Club, Sundhara in Kathmandu on Tuesday, August 30, 2011. 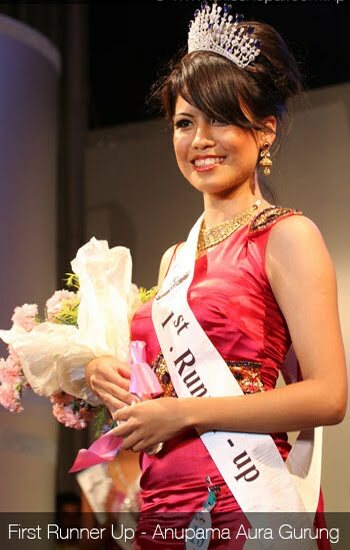 Anupama Gurung will represent Nepal in Miss Earth 2011 at Manila, Philippines on 3rd December. It was originally scheduled to be held at the Impact, Muang Thong Thani, and Bangkok, Thailand. However the pageant organizers decided to move the pageant back to the Philippines due to the Massive flooding in Thailand. 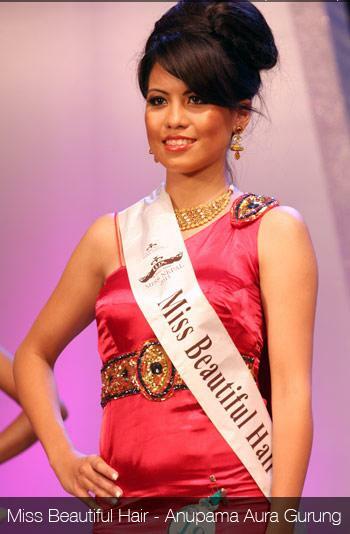 Malina Joshi has been crowned Miss Nepal 2011 and Sarina Maskey has been crowned Second Runner-up. Anupama also won MISS BEAUTIFUL HAIR title.